Hello once again my fellow viewers, unfortunately I couldn’t upload anything yesterday as I was unavailable, so today’s tidings should cover up for it. I am going to put up a couple of movie news that i have come across in the past week, some of them could be old and some could new, but regardless I would like to post these subject matters that particularly intrigued me. Lets get it on. Recently it was announced that J.K. Rowling, the creative mind behind everyone’s favorite thunder scarred wizard, Harry Potter, has decided to continue the franchise in the same world but it would be adapted from her follow up book which was titled Fantastic Beast and Where to Find Them. It appears that it is gonna be a spin off, which would still occur in the Harry Potter universe but will not feature the characters from the previous books. When I heard this story, the first thing that came to mind was that, Rowling was probably missing her truck load of cash that shot her to be a billionaire, but it may not be the case. It has also been reported that she would be the lead writer on the new project. 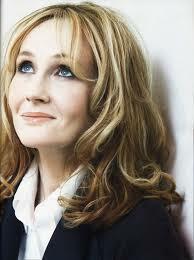 Do you think it is necessary to continue the Potter universe or do you think that Rowling should give it a rest? Are you excited to see what she is going to bring out? This is actually a movie that I am kinda looking forward to, it stars Will Ferrell and Kevin Hart, Will plays a recently convicted business man who is trying to prepare for his time in prison, he asks for the aid of his chauffeur who is played by Kevin Hart, who must prepare him under a month before his incarceration. The concept and casting of this movie has already bought me, I just hope that it delivers has much as it seems. Are you excited for this movie? are you a fan of Will Ferrell or Kevin Hart? Please let me know in the comment section. In a recent chat with the director of the upcoming Thor: The Dark World, Alan Taylor disclosed that during the filming of some difficult scenes, Joss Whedon, the recently acclaimed comic book messiah, had to be consulted in order to help out with some scenes. 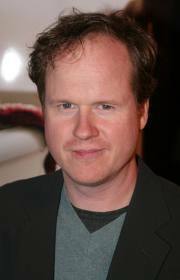 He said that Joss was flown over to the set of the movie to assist in editing a scene, and right after he was done, he flew back to his previous abode. This news hit me with shock and awe because it tells me two things, namely Alan Taylor is truly committed to the movie to know when a problem is a bit out of his hand, and secondly Joss Whedon is genuinely concerned about the whole Marvel Cinematic universe, that he would fly a couple of miles to aid in fixing a movie that he is not directly involved in. It also tells me that he has big plans for the upcoming The Avengers sequel, that he doesn’t want any tie in movies to mess up leading to the 2015 release of The Avengers 2. What do you think about this news? Does this convince you that Thor: The Dark World could be any good? This is all for the weekend, please do not forget to comment and subscribe. Till next time. Szia.